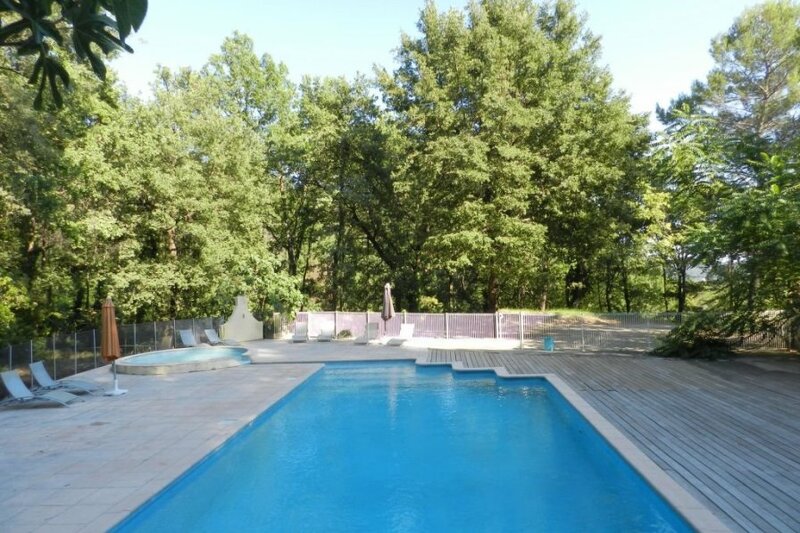 This 3 bedroom house with swimming pool is located in Draguignan and sleeps 6 people. It has WiFi, barbeque facilities and parking nearby. 4-room "Les Grenaches", house for 6 people, 130 m2 on 2 levels, simple and cosy furnishings. Living/dining room with cable TV and open fireplace. Smoking not allowed. Internet (Wireless LAN WLAN). Sleeping room with 2 single beds. Sleeping room with 2 single beds. Sleeping room with 2 single beds. Open kitchen with 4 hot plates, micro wave, oven, dishwasher and deep freezer. Terrace 30 m2, terrace furniture. Ground floor double room whose entrance is outside the house with bath/WC and terrace exit, on the upper floor double bedroom with bath/toilet and a double room with shower/wc..
At the heart of a vineyard of 21ha, ideal for an introduction to oenology and discovery of the Var hinterland. Large farm "Domaine du Dragon", surrounded by trees. View from the apartment of the valley. Untill 15 .09), paddling pool (shared use), outside shower (shared use), children's playground (shared use), fireplace (private use). Frejus/St Raphael 30km, 40km Plaine des Maures, Gulf of Saint -Tropez 45km.. The house is described as good value for money. The house has a swimming pool and is located in Draguignan. The nearest airport is 83km away. It is set in a convenient location.